CBA is the Regional Service Center for Davis Vision in New Mexico. Davis Vision is the approved vision insurance provider for the New Mexico Public School Insurance Authority (NMPSIA). Davis Vision created an end-to-end business model that removes the middlemen and their markups – without sacrificing quality or choice. This creates a lower out-of-pocket cost for NMPSIA members while maintaining cost transparency in eyewear. The highest use of covered-in-full frame coverage; 7 out of 10 members choose a Davis Vision Collection frame! 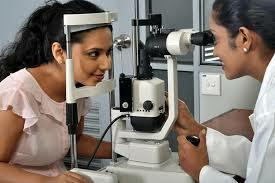 A fully insured vision program inclues a comprehensive eye examination, spectacle lenses, frames and contact lenses. Visit Davis Vision.